This page provides information on Corneal Transplantation and explains the reasons why the procedure is performed. Please take time to view the video animations to better understand this medical procedure. What types of corneal transplantation is available? This technique involves fully removing the damaged cornea and replacing it with one from a donor. The replacement cornea is sutured to the patient’s eye. Recovery from this type of surgery can take six months or longer. This medical procedure has been in use for almost a hundred years. Deep anterior lamellar keratoplasty Pioneered by Dr. Anwar, this highly technical procedure removes only the damaged part of the cornea, replacing it with a donor cornea of a lesser thickness than is the case with penetrating keratoplasty. This procedure minimizes the complication rate, but also carries the risk of the patient developing corneal haze, which can potentially limit vision. In addition, DALK is a technically demanding procedure with a higher risk of failure. However, in the event of failure, the surgeon can usually easily convert the procedure to a penetrating keratoplasty with no adverse consequences. Upon examination, the eye will look almost identical to the image above and only a corneal specialist would be able to detect that a patient had undergone this procedure. This procedure is performed for patients with fuchs’ endothelial dystrophy or who have corneal conditions affecting the endothelium. This procedure is highly technical. It involves removing only the damaged inner layer of the cornea composed of endothelium and replacing it with donor cornea of lesser thickness than original. There are many advantages to this procedure, including a reduction in recovery time, less reliance on sutures, and a stronger architecture in the eye itself following the procedure. The disadvantages relate primarily to risks of the graft not adhering properly, entailing further surgery, plus the visual potential being slightly less than that achieved with a penetrating keratoplasty. However, please note that patients consider that this procedure enhances their quality of vision more than is the case with penetrating keratoplasty. At the surgical centre, your anesthesiologist will freeze the eye, after which the area around your eye will be washed and cleansed. The operation usually lasts one to two hours and is almost painless as a result of the freezing. Many people choose to stay awake during surgery, while others may need to be put under anesthetic for a short time. After the operation, a clear plastic shield or a patch may be placed over your eye. You will rest for a while and your medical team will keep you under observation for any problems, such as bleeding. Most people who have corneal transplantation can return home the same day, although you will need someone to drive you home. 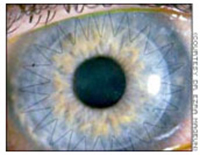 Itching and mild discomfort are normal after corneal transplantation and some fluid discharge is also common. Your eye may be sensitive to light and touch. If you do experience discomfort, your doctor may suggest treatment. Over one to two weeks, your eye will steadily feel more comfortable. If you have had DSEK surgery, your doctor will ask you to lie flat on your back for the first day to facilitate a full recovery from the procedure. For a few months after surgery, your doctor may ask you to use eye drops to assist healing and decrease the risk of infection. You will need to refer to the instruction sheet provided by your doctor with instructions on how often you should use the eye drops. If you’re unsure how to use them, you must ask the doctor or one of his associates. You will need to wear an eye shield or eyeglasses to help protect your eye, plus avoid rubbing or pressing on your eye. Once you are at home, avoid bending from the waist to pick up objects from the floor and do not lift any heavy objects. You may however walk, climb stairs, and perform light household chores. Problems after surgery are rare, but they can occur. These problems can include infection, bleeding, loss of vision, double vision, high intraocular pressure, corneal graft rejection and rarely failure of the tissue to adapt to the recipient’s eye. With prompt medical attention, most of these problems can be treated successfully. It is important to keep your appointments with your specialist to ensure the eye remains stable after surgery. The healing eye needs time to adjust so that it can focus properly with the other eye, especially if the other eye has a similar condition. Ask your doctor when you are able to resume driving. Over time, your vision will slowly improve, although you will most likely still require corrective glasses or contact lenses. However, this will occur only after the corneal transplant has healed completely, which may take up to six months after the procedure.